Two former HMRC tax inspectors – who recently worked for one of Europe’s largest accountancy and tax compliance companies – have launched their own specialist tax advisory business. And, since forming The Independent Tax and Forensic Services LLP (known as In-Tax) last month, Stephen Outhwaite and Gary Brothers have already been hired by a string of household names from the world of football, athletics and entertainment. In addition, the pair are working on behalf of one of the world’s best-known luxury brands, plus a string of small and medium sized businesses nationally and internationally. 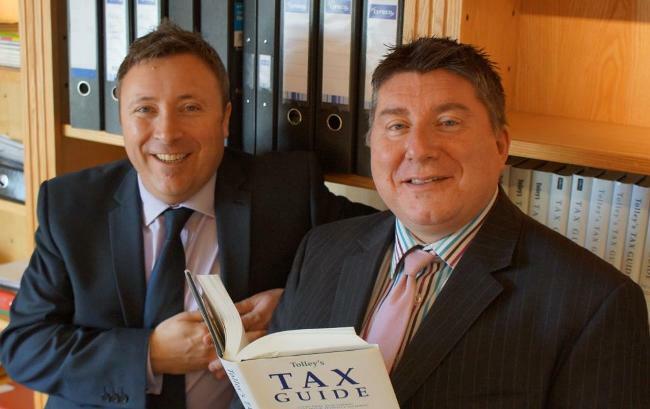 Both Steve and Gary began their careers as “tax men”, working for HMRC at senior levels in the Yorkshire region. After more than two decades as tax inspectors, both jumped ship to work for companies offering firms and individuals tax advice. “Both Gary and I have worked together and we felt the time was ripe to branch out on our own. “Between us we have a wealth of experience. Having worked for both HMRC and large private practices, we are uniquely placed to start our own boutique practice. “The skills and expertise we have learned over the last 25 years are already reaping rewards. In a very short period of time we have been taken on by a variety of clients, all requiring expert advice and guidance. “It is important to stress we are not accountants. We are tax experts and we use our skills to look at cases from both sides of the tax spectrum to achieve fantastic results for clients. “In a short period of time we are gaining a national and international reputation, and our client base represents this. “I couldn’t think of anyone better to go into business with than Steve and launching our own independent business. In-Tax is a very exciting prospect for the pair of us.